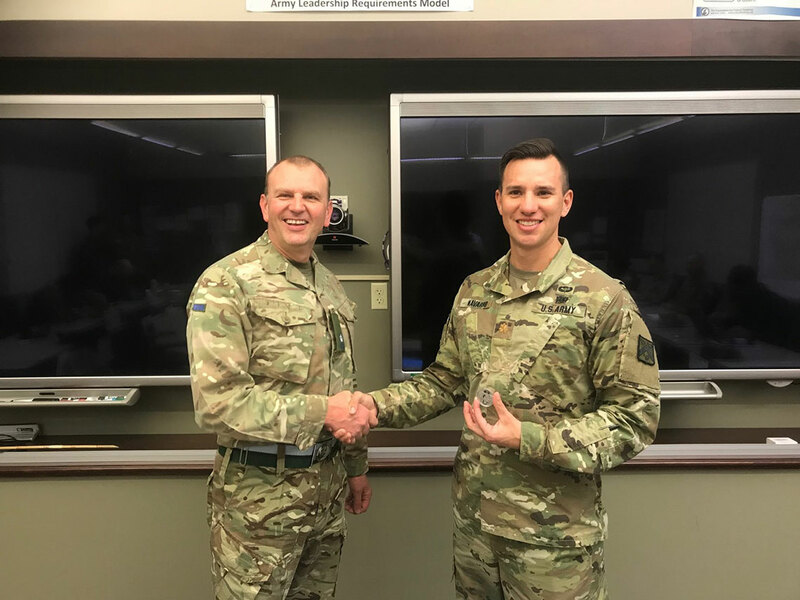 “Each year approximately 200 British Officers attending the Intermediate Staff and Command Course at the UK Defence Academy visit Fort Leavenworth, the home of the United States Combined Arms Centre as part of Exercise EAGLE OWL. Like the UK Defence Academy, it consists of several subsidiary colleges, one of which is the United States Army Command and General Staff College. 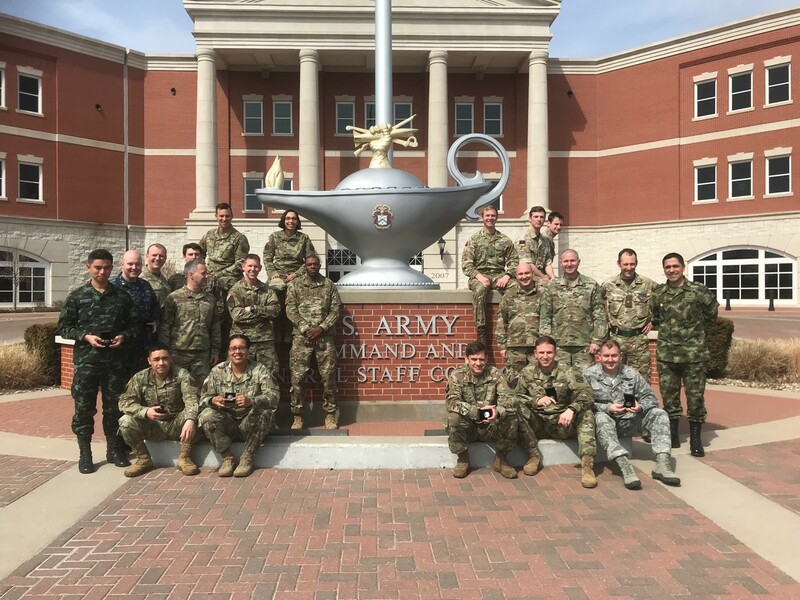 The Combined Arms Centre offers UK students a valuable insight into United States Doctrine and is without doubt the US Army’s education ‘leader’. Exercise EAGLE OWL consists of two sequential divisional-level planning cycles set within a US-led Corps context. The exercise seeks to develop interoperability and mutual trust across the US/UK Officer cohort to enhance interoperability for future combined operations. Over the years it has become customary to exchange gifts between UK and US students. An event which has normally taking place during the end of exercise social event. In considering what to present to our US colleagues the recent remembrance of World War 1 in 2017 and the close-proximity of the United States World War 1 museum to that of Fort Leavingworth inspired us to contact the London Mint Office. After a short discussion the London Mint Office were only too happy to assist in providing a World War 1 Battle of Ypres Centenary coin for each of the US A2 students. The coin represents the many events in 2017 in which nations joined together in Flanders Fields to commemorate the centenary of the final Battle of Ypres, a defining moment in The First World War. The centenary coin features the symbol of remembrance from Flanders Fields - the poppy, set against the backdrop of the Angel of Mons who is said to have protected the British soldiers during the war.